What are we doing to stop plastic menace? The World Environment Day 2018 will be celebrated on June 5, 2018 with the theme ‘Beat plastic pollution’ with India as the global host. Prime Minister Narendra Modi recently mentioned it in his radio show Mann ki baat and called for saving environment. But Mann ki baat wouldn’t yield any outcomes until it becomes Jan-jan ki baat and the citizens of India realise the drastic effects of plastic and feel the need for saving environment. Focus has to be on mobilising the world to tackle plastic pollution, including creating support for a global effort to eliminate single-use plastics along with global regulation for the disposal of plastics. Government should make sincere efforts to educate millions of people about the health and other risks associated with the use and disposal of plastics, including pollution of our oceans, water, and wildlife, and about the growing body of evidence that decomposing plastics are creating serious global problems. As the world’s population continues to grow, so does the amount of garbage that people produce. On-the-go lifestyles require easily disposable products, such as soda cans or bottles of water, but the accumulation of these products has led to increasing amounts of plastic pollution around the world. As plastic is composed of major toxic pollutants, it has the potential to cause great harm to the air, water and land. Put simply, plastic pollution is when plastic has gathered in an area and has begun to negatively impact the natural environment and create problems for plants, wildlife and even human population. Often this includes killing plant life and posing dangers to local animals. Plastic is an incredibly useful material, but it is also made from toxic compounds known to cause illness, and because it is meant for durability, it is not biodegradable. It costs millions of dollars each year to clean affected areas after exposure, not to mention the loss of life to plants, animals, and people. As land becomes more valuable, just finding a place to dump the garbage is becoming a problem in many parts of the world. Plus, excess pollution has lead to decreased tourism in affected areas, significantly impacting those economies. From poisoning and injuring marine life to the ubiquitous presence of plastics in our food to disrupting human hormones and causing major life-threatening diseases and early puberty, the exponential growth of plastics is threatening our planet’s survival. The mission to end the plastic menace must include ending single-use plastics, promoting alternatives to fossil fuel-based materials, promoting 100 per cent recycling of plastics, corporate and government accountability and changing human behaviour concerning plastics. Educating, mobilising and activating citizens across the globe to demand that governments and corporations control and clean up plastic pollution. What can be done by citizens? Although the government’s job is to spread awareness, let’s not expect everything from it. We all have to change our attitude and act responsibly to put an end to our problems. Plastic bags were once a modern convenience but can be efficiently replaced by reusable bags, many of which fold up compactly in order to be portable. 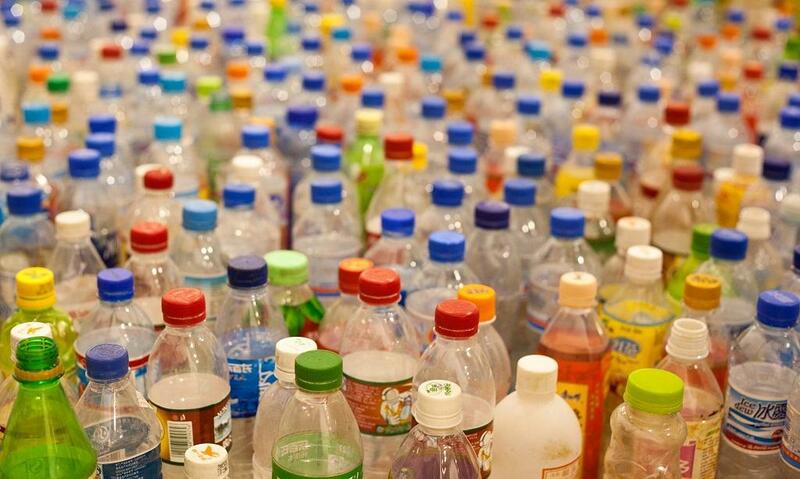 Disposable water bottles are causing immense damage to environment; it’s time to replace them with re-usable bottles. Plastic food containers, lids, and utensils are all easily replaced by reusable containers, which will cut down significantly on even a single meal’s waste. Low-cost replacements, such as bamboo utensils in place of plastic ones in local restaurants need to be promoted. We all can try and select items that come in non-plastic recycled and recyclable packaging, to do our best to properly handle items that can’t be reused. We owe our existence to mother Earth and it’s our duty to save and protect earth. India can be a better country, if we all become better Indians.